Enjoy this uniquely beautiful cruise along the French rivers Rhone and Saône. You will experience picturesque villages, world famous wine regions such as the Cote d’Or, unforgettable stretches of land in the regions of Provence and Burgundy, and impressive views of historic cities and monuments. A cruise during the inaugural season for the Amadeus Provence is undoubtedly the best way to enjoy the sunny south of France. Arrive into Lyon, your transfer will take you to the port where you will embark the Amadeus Provence. This evening, enjoy a Welcome Cocktail, followed by a specially-prepared Welcome Dinner. This morning the vessel arrives in the town of Mâcon, located in southern Burgundy. This wine-producing region creates some of the most expensive wines in the world. Spend the morning exploring the city and perhaps visit the wine museum dedicated to the history and production of Burgundy wines. Near the city of Mâcon is the Cluny Abbey, dedicated to St. Peter. This afternoon offers the opportunity to visit the ‘spiritual heart of medieval Europe’. Founded in 910 by Guillaume d’Aquitaine, the abbey is comprised of three abbey churches. At its height, it was home to over 10,000 monks. Continue to explore the wine region with a stop in the town of Chalon-sur-Saône. Half-timbered houses overlook the square and it offers art galleries, speciality shops, as well as a museum dedicated to photography. The countryside is filled with famous vineyards such as Pommard and Puligny - a wine lover’s delight. This afternoon, enjoy the scenery as the vessel continues its way along the Saône, or perhaps choose to explore the medieval towns of Brancion and Cormatin and rejoin the vessel in Tournus. At the confluence of the Rhone and the Saône rivers, sits the third-largest city in France. 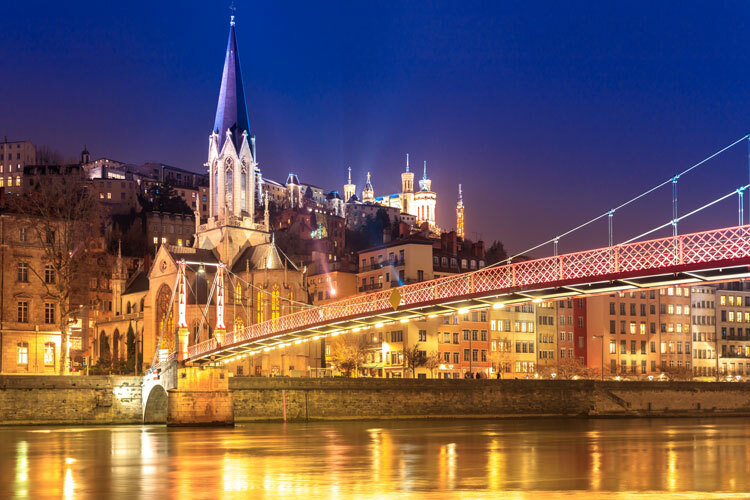 This UNESCO World Heritage city of Lyon is known for its cuisine, as well as historical and architectural landmarks such as the Basilica of Notre-Dame de Fourviere and the Vieux Lyon (Old Lyon), which is the Renaissance area along the bank of the Saône. Relax this afternoon as the vessel sails through the picturesque countryside. The Provencal city of Avignon is home to the Papal Palace, once the seat of Western Christianity in the 14th century. The Papal Palace was home to six papal conclaves but became obsolete when the papacy decided to return to Rome. The area of Provence is also home to the Pont du Gard, a three-level aqueduct constructed over 2,000 years ago by the Romans and one of the architectural masterpieces of the ancient world. Your vessel remains in Avignon this evening. Wake up in Avignon before continuing to Arles. Arles captured the imagination of the brilliant Impressionist painter, Van Gogh. Walking through the town, many of the settings may seem familiar as some of Van Gogh’s best-known pieces reflect the beauty of the town. Outside of Arles, the Camargue Nature Park is located. The Park covers 86,000 hectares and is known for its unique flora and fauna, as well as semi-wild bulls and white Camargue horses. This morning offers the opportunity to view the Ardeche Gorge, another natural wonder of the area. 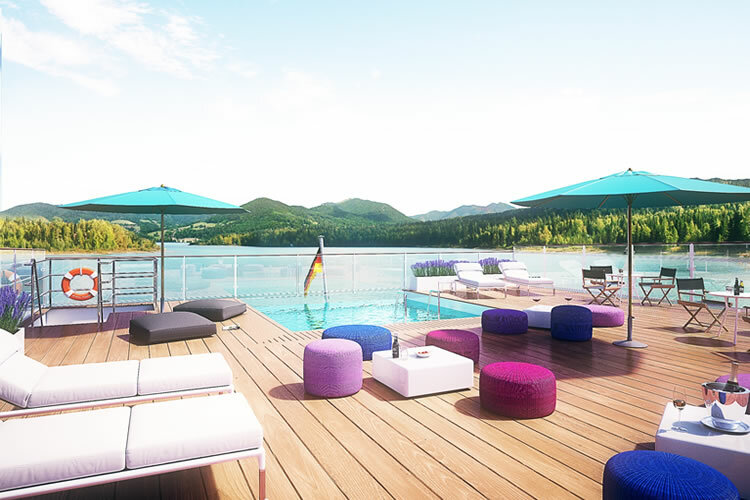 Visit the ‘Grand Canyon of Europe’ and rejoin the vessel in time for lunch. Alternately, spend the day on board relaxing. This evening is the Captain’s Gala Dinner. Bid farewell to the Amadeus Provence after breakfast. Your transfer will take you to the airport or station for your return journey to the UK. Optional excursions are available. Pre book a package and save 15%.